Malware Seeks Ransom, Or Else! | Blue Mountain Data Systems Inc.
Malware Seeks Ransom, Or Else! Under federal and state law, kidnapping is commonly defined as “the taking of a person from one place to another against his or her will.” In other words, someone is taken, a ransom note is sent, and ransom demands are either met or not met, depending on the situation. If the ransom is paid, the victim is released (hopefully), and all goes back to normal. What happens if the kidnapping “victim” is data? Hard to imagine, yes, but it has happened on one too many occasions. One such incident involved the Dickson County Sheriff’s Office in Tennessee. Cyberthieves took over the Sherriff’s Department computer system and required a ransom from their victims to release their files. It appeared the malware could have entered through an online radio stream of radio station WDKN that staff at the sheriff’s office was listening to, but the station’s president and general manager dismissed that idea. What is clear is that the ransomware infected the department’s report management system, according to The Tennessean. Employees were then notified through a message on their computer screens that they had to pay the $572 ransom by a set time for their data to be released. Start with spam filtering as the first line of defense. 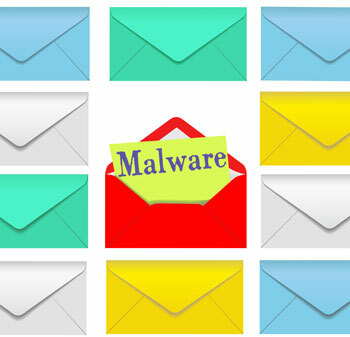 Blocking spoofed email is the cleanest and best way to guard against ransomware. Continue to warn staff not to open email that looks suspicious. For more information regarding this incident, read the full State Tech Magazine article.